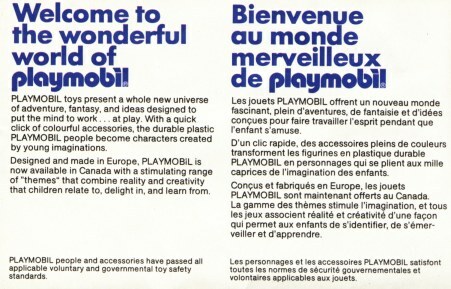 In 1982 McDonald's made a series of playmobil® Happy Meals in the US/Canada. The promo had five different packs (a different one each week, as usual): Sheriff, Sheriff's Horse, Indian, Umbrella Girl and Farmer. Included with the indian was a relic (well, now, for me, certainly not at the time). Even my first indians had a more recent version of these accessories. I was almost tempted to not cut them out, being such a rare sight still on the sprue! 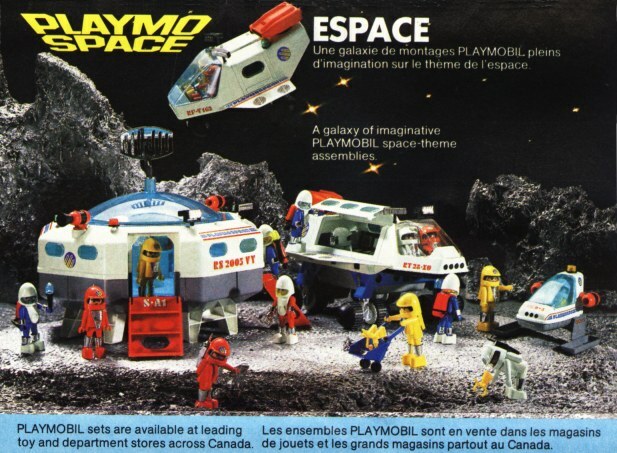 In the booklet were included pics of many sets, divided into Space, Essential Services (cops, doctors and firefighters), Wild West, Construction, Children and Safari. 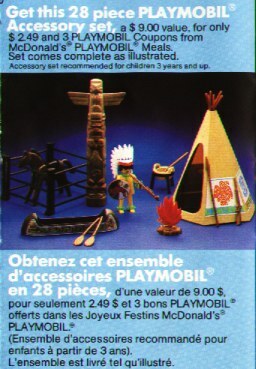 According to it, these were "available at leading toy and department stores across Canada". I guess maybe there was a different version of it for the US? The booklet also included a mail in offer - for $2.49 plus three Coupons found in the playmobil ® Happy Meal, you'd get a larger set. Unfortunately I have none of those coupons - if anyone can provide a scan, please let me know - thanks. 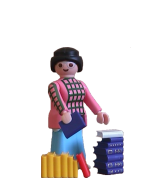 Due to small parts, playmobil® toys are not recommended for children under 3, which caused McDonald's to recall them (at least in the US) - see following article. 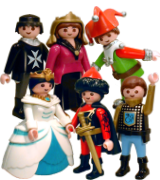 The Consumer Product Safety Commission announced today that McDonald's Corporation of Oakbrook, Illinois, has voluntarily stopped further Playmobil toy promotion and distribution as of November 1st. McDonald's made this decision immediately after learning that recent tests showed the Playmobil toys failed to comply with CPSC's regulation designed to prevent choking hazards to children under three. 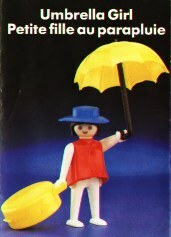 The Playmobil toys, which are manufactured by the Schaper Manufacturing Company of Minneapolis, Minnesota, have not been involved in any known choking incidents. Five toys were to be distributed nationwide through approximately 5,800 McDonald's restaurants. The five toys included a Sheriff, Indian, Sheriff's Horse, Umbrella Girl and Farmer. 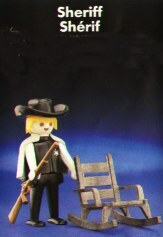 Approximately 10 million of the Sheriff and Indian Playmobil toys in this promotion were actually distributed from October 22nd through November 1st. 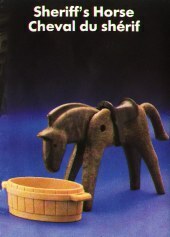 The plastic toy figures have movable parts and are accompanied by various plastic accessories. 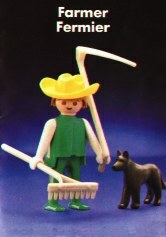 Consumers with children under three who received these Playmobil toys should discontinue their use and return the toys to a McDonald's restaurant in exchange for a box of McDonald's cookies, a cone or a refund.